Crystal Proxmire of Oakland County Times recently sat down at Beverly Hills Grill for a fine dining experience with a few friends. 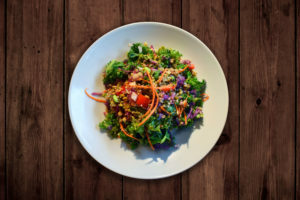 Crystal left satisfied saying the food was as “beautiful as the restaurant itself.” Specifically, she felt the Thai Grains Salad with chicken was absolutely wonderful. Click here to read the full review.